Sony has sold more than 1 million PlayStation VR (PSVR) headsets. It outsells the sales of Oculus Rift and HTC Vive combined. That’s why I wrote this post: To find the why. So, why PSVR outsells Rift and Vive? Is it because of the quality? “It’s an OLED screen, I think it looks decent, nothing to write home to mom about. I believe it is 960x1080p in each eye equaling 1920×1080. Screen resolution is one of the reasons of a high cost or low cost of a system. The screen is below the Vive and Rift, but not that much behind. I have a Vive and the difference is there, but nothing crazy. The headset by far is the most comfortable, as my Vive leaves marks on my nugget. The PSVR sets differently on your head and locks out the light, damn good.” — Tajaz2426, Gamefaqs.com. “Although the resolution is on the low end, the sum of the experience is really greater than its parts. The immersion really does not seem to take a hit. The “cartoony” or polygon like environments are the most immersive because you are not focused on the resolution of things at all and basically, they are not so noticeable in those type of games. Games like Job simulator is probably the most immersive and you feel like you are in some sort of cartoon.” — Trapspringer, Gamefaqs.com. In conclusion, it is pretty clear to say that PSVR is not as great as Rift and Vive, but it’s cool enough. So, the quality of PSVR is definitely not the reason why it’s more successful in the market. Is it because of the price? There seems to be a pattern here. Take a look at the price below. P.S. This is the price of the VR headset only — before the price drop. Google Cardboard — $15, launched in June 2014, sold more than 10 million units, announced in January 2017. Samsung Gear VR — $99, launched in November 2015, sold more than 5 million units, announced in January 2017. PSVR — $399, launched in October 2016, sold more than 1 million units, announced in June 2017. Oculus Rift — $599, launched in March 2016, sold around 243,000 units, announced by the end of last year. HTC Vive — $799, launched in April 2016, sold more than 420,000 units, announced by the end of last year. So, yes, the price may take a role in boosting the sales, especially for Google Cardboard (as it’s only $15), but, for PSVR, there must be something more than just the price. Is it because of the content? And, Resident Evil VR? I’m not a gamer, but who would have never heard of Resident Evil? I’m not a fan of Resident Evil, but if I had the chance to play Resident Evil in virtual reality, why would I say no? Why would we say no? Imagine if you’re the one who has to survive in a horror game instead of another playable character. Imagine if it’s you are the playable character in Resident Evil. Yes, that sounds scary and insane, but who would miss out this chance? And, that was a smart move by PSVR: Providing all-time-favorite games in virtual reality. Resident Evil is one of the most popular games in the gaming industry. When the Resident Evil VR launched, it became the biggest game to come to Sony’s PlayStation VR. 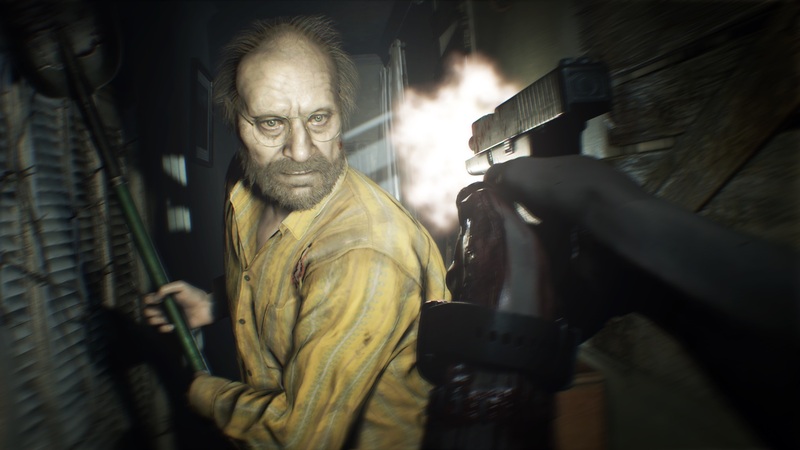 The number of people that played Resident Evil 7 VR is now 281,084 (11% of all players) and still counting. Thus, it could be the reason why PSVR sells more because it uses the name of favorite games all the time and provides it in virtual reality. PSVR is just relatable to its target audience. So, why is there such a natural understanding for PSVR and not for Rift and Vive? PSVR are used with PS4, and we all know that PS4 is only for gaming. That’s already specific and relatable for its target audience. Meanwhile, Rift and Vive are used for PCs, and today we use PCs for everything. However, we still cannot use Rift or Vive for everything due to the limitation of the content today. But there comes a day when we use Rift and Vive for everything just like we use computers today. When the amount of content is abundant, webVR is on fire just like websites today. This doesn’t imply that Rift or Vive failed. They win the market in their own ways. Furthermore, Rift and Vive are strongly necessary for early adopters, developers, businessman, and anyone who wants to be the frontrunner of this new technology. Still, PSVR is the most relatable virtual reality headset today. And, that’s probably the strongest reason why it outsells Rift and Vive. If you want to earn money from virtual reality today, learn from Sony’s PSVR: Be specific and relatable. We have talked about this before in our previous post. Let’s take an example from our own project. A few months ago, the atomic and renewable energy center in the Kingdom of Saudi Arabia approached us for virtual reality service. They wanted to encourage students to learn about renewable energy, as it’s in line with Saudi’s Vision in 2030. But they wanted to encourage students in a whole new way. So, we created our plan with virtual reality. First, we learned our target audience. They are kids and students. Just like any part of the world, in the Kingdom of Saudi Arabia, the majority of people own smartphones, but they don’t always own a high-end PC. Moreover, students are more adjusted to a smartphone than a PC. So, we were not taking Rift and Vive as the platform. Rift and Vive have specific age rating, anyway. Second, we developed the mobile application in virtual reality, which now can be downloaded here. The front and back cover of BeThere: Renewable Energy edition. This is the first page of BeThere. To engage students, BeThere provides a 3D pop-up object related to the topic. This is the second page of BeThere: The foldable virtual reality viewer. Just by looking at the cover, our target audience will naturally understand, “Oh, this is a book about renewable energy.” But it’s not that kind of book. Because when they open it, they can virtually travel to renewable energy park and work on a mission related to the topic. How BeThere works. Learn more here. That’s how we make virtual reality and our product relatable and specific. And, this is more of our examples. Just like what Sony did to PSVR. So, do you have any idea why PSVR outsells Rift and Vive? Let us know in the comment below. Don’t forget to share this post and follow our Facebook and Twitter to get the latest and meaningful content about virtual reality!